Hendey, N.I. (1964) An Introductory Account of the Smaller Algae of British Coastal Waters. Her Majesty’s Stationery Office, London. Navarro, J.N. 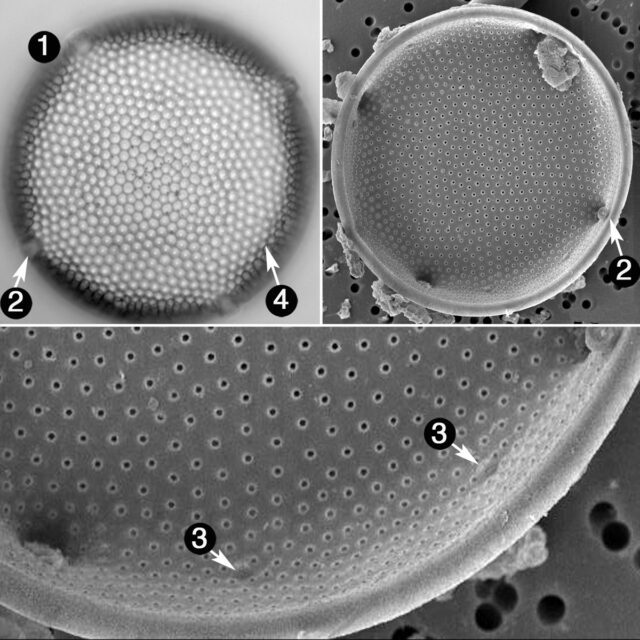 (1981) A survey of the marine diatoms of Puerto Rico II. Suborder Biddulphiineae: Families Biddulphiaceae, Lithodesmiaceae and Eupodiscaceae. Botanica Marina 24: 615-630.